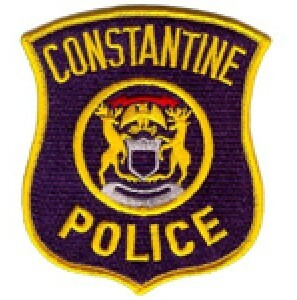 (CONSTANTINE) – Two Constantine residents are in the St. Joseph County Jail on charges of child abuse. Constantine Police Chief Mark Honeysett says his department was contacted Tuesday by the Three Rivers Police about a 7 month old girl who was in the emergency room at Three Rivers Health and was believed to be abused by her parents. Constantine officers spoke with the medical staff, who said the child had multiple skull fractures and bruising. Medical personnel shared that the child's mother told them the girl fell off of a couch and onto the floor of their home at the Elm Tree Apartments. However, medical staff said the child's injuries were not consistent with the mother's story. Honeysett says his officers interviewed the 20 year old mother. Their investigation revealed the mother became upset with the child and shook her violently. The shaking was so hard that the back of the child's head banged into a wall. It was also discovered the mother slapped the child in the face. Police spoke with the girl's father, a 26 year old man. They discovered he had knowledge of the abuse but failed to protect his daughter or notify the police. The woman was arrested on a charge of First Degree Child Abuse. The man is charged with Fourth Degree Child Abuse.